Most of you already know forecasting lake-effect snow caused my hair to thin. Hey, now that I mention it, how come I was the only Buffalo weathercaster with a receding hairline? 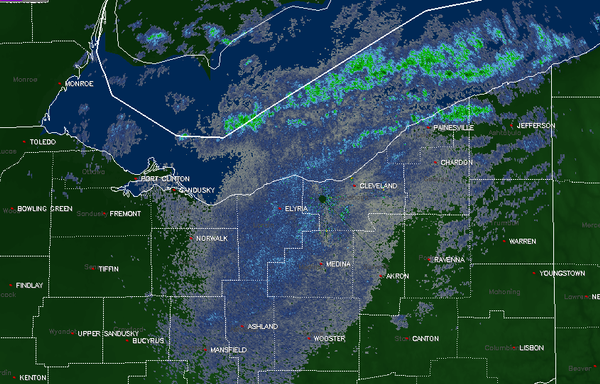 Safe to say, there are few if any safe calls with lake effect, particularly for placement, motion and intensity. This event has no chance of quite measuring up to that debacle, which was actually well forecast days in advance. No one could predict a few spots would see 7 feet days in advance because such a rare extreme accumulation doesn’t show up in data. But forecasts and statements went out days in advance detailing we were headed into an epic lake storm. The stationarity (yes, there IS such a word!) of that band along with its intensity in an ideal setup is what led to the concentrated area of enormous snowfall. Once the band set up, there was very little change in its position for hour after hour; no oscillation. Lake snow doesn’t usually have that kind of stationarity (he said it AGAIN!). In November 2016, I wrote about requiring precision in the low-level wind direction to have a shot at accuracy in lake snow placement, in a lake-effect primer. This week’s lake effect has been plagued by more typical uncertainties, making amounts and placement more difficult. For one thing, we don’t know how much ice cover is out there on the lake. It’s definitely increasing, but we can’t see much of it. Lake Erie is obscured by cloud cover, especially the more critical eastern third where lake effect is ongoing. Obviously, the more ice, the less moisture and warmth can be transferred to the lower atmosphere. In addition, increasing winds most of the time from Wednesday afternoon through Thursday will destabilize what ice is out there. Once you get away from the shore areas, the ice farther out is thinner and more easily moved. The still large openings in the ice can move and shift around, and move around the moisture and heat sources for the lake effect band. There is also the issue of humidity in the flow over the lake. Very dry air, even when frigid, will produce a lot less lake snow than air that is already moist. This time around, there appears to be adequate water vapor to enhance the lake effect.
" 'Southwest' just isn’t enough. I need to know the precise likely wind direction in degrees, as on a compass. From decades of experience and research, we know a wind originating from 240 degree steers lake-effect snow toward a large portion of Amherst, Clarence and Akron, generally missing Buffalo. A 250-degree wind hits the biggest populace, including most of Buffalo and out through Cheektowaga and the airport, sometimes reaching to Batavia. Just a 5-degree shift to 255 degrees can spare downtown and North Buffalo and focus on South Buffalo, Lancaster and Depew. As the wind direction veers a wee bit more westerly, the band can focus more on the densely populated Southtowns; a bit more and it reaches more rural portions of southern Erie below the Southtowns and Wyoming County. Due west, or 270 degrees, takes the snow directly into the Southern Tier; 275 or 280 degrees may target the far Southern Tier (Jamestown) more than Silver Creek. The rougher, hillier terrain to the south forces more lift of the moist air, and this frictional lift can squeeze out lots more snow. 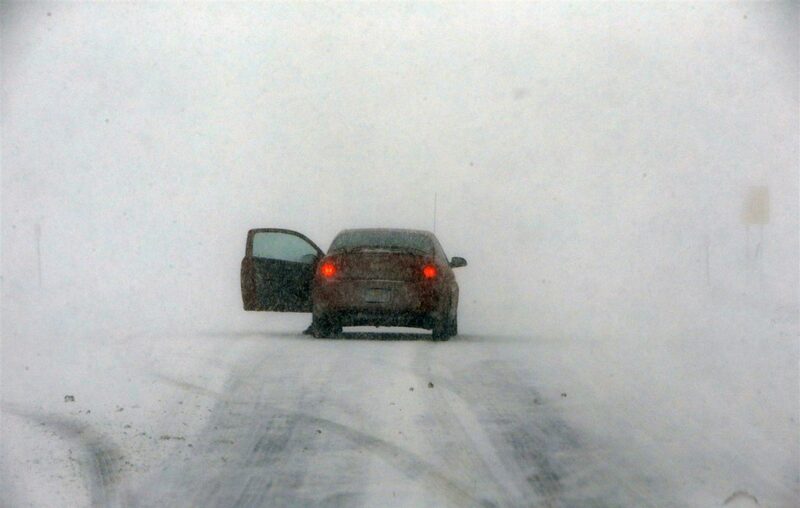 That’s why Mayville is SO much snowier than lakeshore Westfield in Chautauqua County." Timing those waves and their intensity makes a huge difference in both oscillation of lake bands, and their organization. If the short wave is strong, winds may shift so much at different levels, this shearing in the wind tears at the band, making it weak and diffuse as it oscillates. Typically when the short wave passes, the band oscillates more sharply southward. If the short wave is very weak, the oscillations are more subtle and the shear is weaker. One last type of wind shear that can do a forecast in is speed shear. If the winds are too strong, especially in the bottom few thousand feet of the atmosphere, that can also tear away at the organization of a lake band. I would speculate winds of the magnitude experienced in the Blizzard of ’77 (if Lake Erie had been open) probably would have kept lake bands from maxing out in intensity … just too much wind. 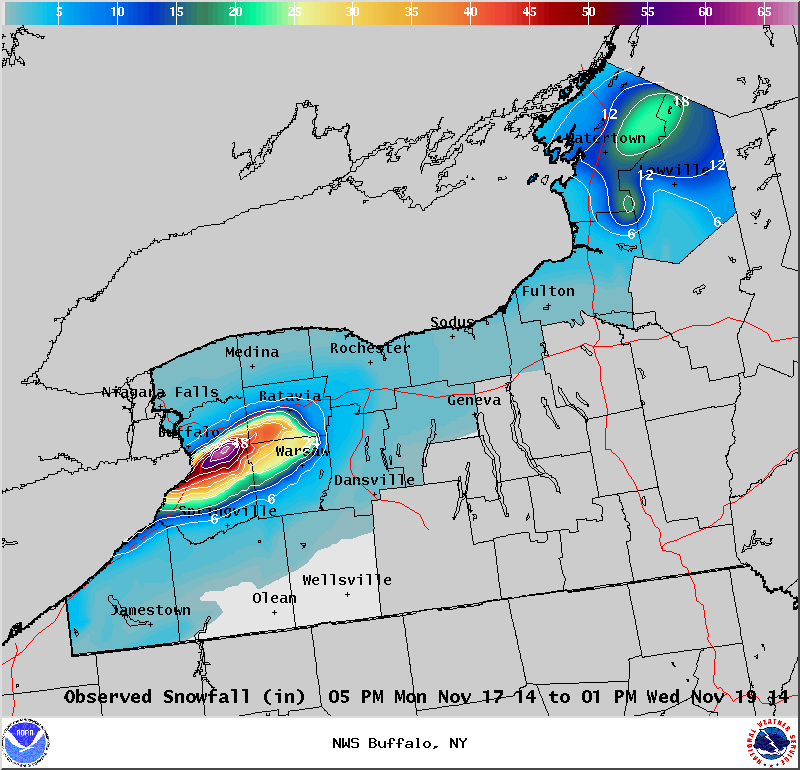 As it was, it’s estimated only 12 inches of new snow fell near Buffalo during that disaster, with the rest of the drifting due to a roaring ground blizzard. And speaking of blizzards, as I’m finishing up this article, the Buffalo NWS has just issued a Blizzard Warning for Erie, Genesee and Wyoming counties due to winds and visibility beginning to reach blizzard criteria. Glad I’m dressed in my typical layer of house.